The Mehsana goats are medium to large sized animal with convex face profile. 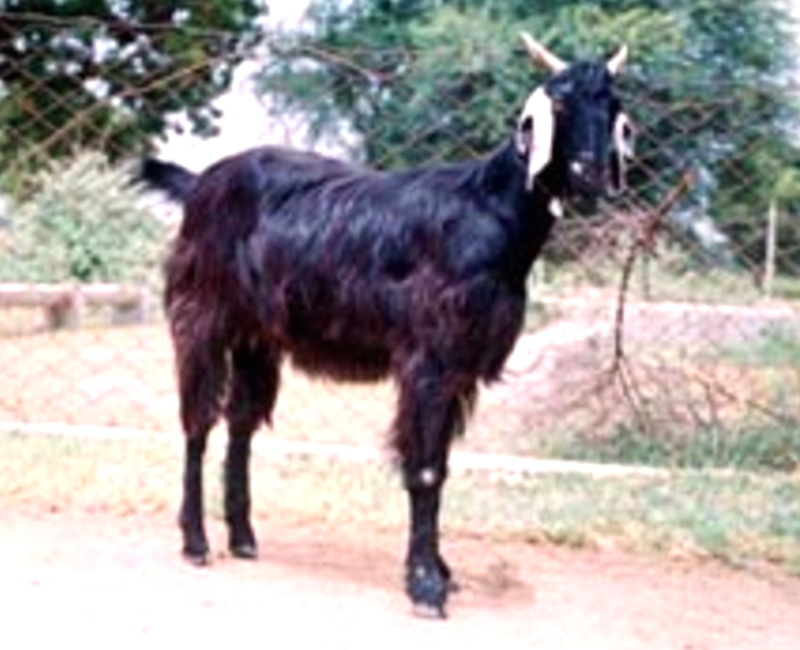 Their coat color is mainly black with white spots at the base of the ears. The hair on the coat is long and shaggy. Their nose line is straight.